Does anyone else get a little anxious when their car insurance bill comes in the mail? For some, it can be a real budget buster. 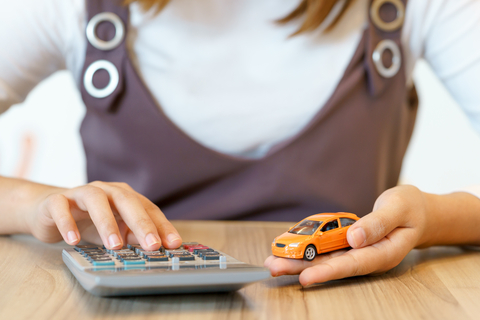 Saving money on car insurance may seem impossible, but it’s not. With the right knowledge, you could be saving money in no time. Here is how to save money on car insurance, without driving yourself crazy. Guess what? When it comes to car insurance, there is no law that says you have to stick with one company. One of the best things you can do is look around for the best deal! When you have the best deal, you’re saving the most money, so keep this tip at the forefront of your mind as you look for other ways to save money on car insurance. When it comes to looking for the best deal, you really need to have patience. Good deals don’t always pop out, sometimes you have to spend time looking. There are a lot of people that make this financial mistake. They first buy the car and then worry about insurance later. Hello! The type of care you buy can REALLY mess with your insurance premiums. ALWAYS look at the prices on car insurance before you buy the car. No one wants to pay a large premium for their car insurance, right?! It may be worth it to get a car that doesn’t cost you as much in insurance. Always ask questions about discounts before you sign up for any insurance company. Since most can provide the same amount of coverage, it’s nice when you can save money by bundling the products you have with them. Okay, so you are already paying for insurance and you can’t think of another way to save money on it. This is where you raise your deductible. Is it the best thing to do to save money, no! The best way to approach this is to have your deductible in a savings account, so if something does happen, you already have the money available. While this is a risky way to save money on your car insurance, it works. Do you really want to see the best way to save money on car insurance? This is when you go with an insurance broker. An insurance broker can help you in more ways than you thought possible. For example, they don’t just go with one company. Instead, they look at every insurance company to see who can give you the best deal. If you’re struggling with rising insurance costs, this could be the way to go. It’s quite refreshing to be able to decide which company you want to go with, based on the price! Everyone knows stuff happens and sometimes your credit score falls down to a less than desirable score. With this in mind, do whatever you can to keep your credit score up. Your credit score can be a big deal when it comes to finding good car insurance. Sure, it’s not the end of the world but those with good credit ALWAYS get better deals and rates. If you find that you’re AWESOME at not making claims, you may find that there is a no accident discount just waiting for you. Some car insurance companies offer this to their customers as a way to say THANK YOU!. After all, if you’re not making claims, you should see some type of discount, right?! Some of these car insurance companies will even give you a check at the end of the year if you’ve had zero claims. That’s pretty awesome! Are you a good student? Perhaps your car insurance company rewards those who are good drivers and good students. Some of these discounts you will never know about unless you ask. So, don’t be shy about asking about a good student discount. Most discounts are limited, so if you can snag something like this discount, go for it! Trying to save money on car insurance? Make sure you use these tips to do so! Make sure you also look on on Crediful.com for other great ways to save on car insurance, student loans, and more!